Lauren Price, 12, showed her alpaca at the Fiesta Association’s Kids Pet Parade on Feb. 25 and won a spot in the Swallows Day Parade, which takes place March 25. Photo: Allison Jarrell. After squeezing into her family’s Volkswagen van and cruising over to Los Rios Park, a 6-year-old alpaca walked away with the top honor at the Fiesta Association’s Kids Pet Parade on Feb. 25. 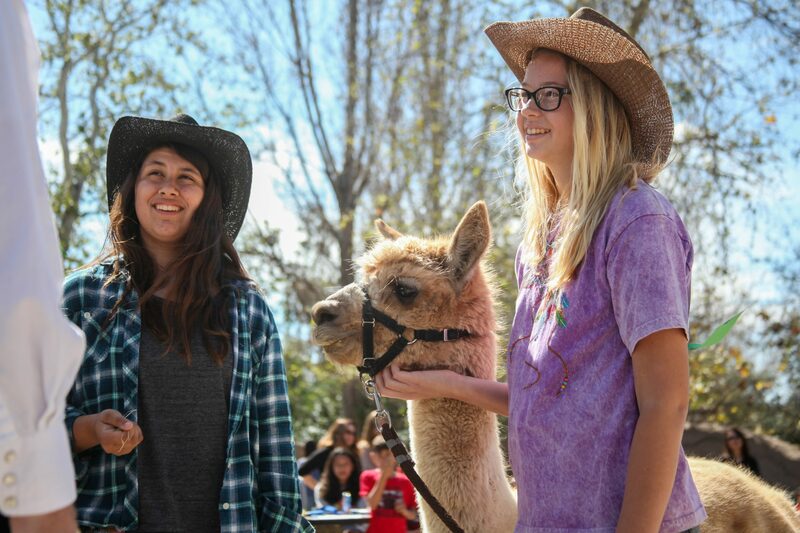 This year’s pet parade had 11 entries, including nine canine competitors and a pair of parakeets, but it was Caramel the alpaca who won first place and will appear (with her human escorts) in the annual Swallows Day Parade on March 25. Price and two of her closest friends, Emily O’Brien, 12, and Isabelle Cota, 12, both of San Juan Capistrano, participated in Saturday’s pet parade and are now invited to walk in the 59th annual Swallows Day Parade. This year’s pet parade judges included Jennifer Agostini, of San Clemente Veterinary Hospital; Junior Miss Fiesta Kate Pointer; Junior Señor San Juan Sami Salado, Señor San Juan Edward Beyer; and Miss Fiesta Erin Kutnick Beyer. Emcee Jim Taylor also gave a shout out to special celebrity judge Señor Pero (the Beyers’ dog, Teddy).